Publisher: Geoffrey Nevine July 06, 2018 This information is provided solely as a guideline. Rice and Beans is a staple in many cultures around the world. 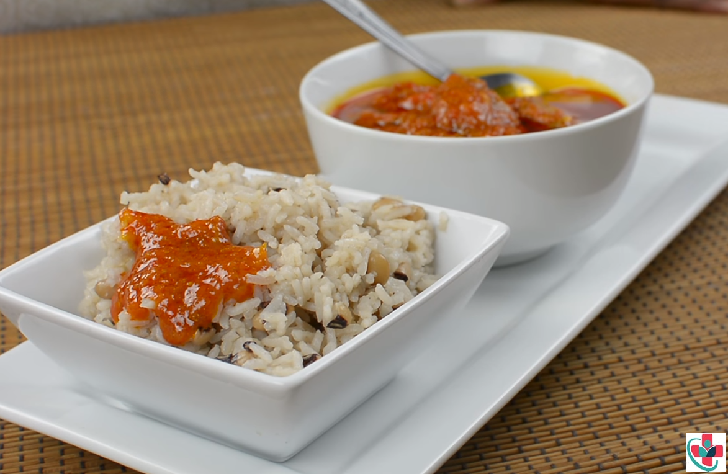 The classic Rice and Beans is not eaten plain, it's usually served with different sauces and stews. Pick your Beans to rid it of any dirt and soak it in enough water to totally submerge the Beans and leave it for a minimum of 3 hours on the countertop or leave it overnight in the Fridge. Rinse the Beans and transfer it to a Pot, add some Water, cover it up and leave to cook for about 50 minutes or till you can easily crush it with your finger. Rinse the rice thoroughly until the water comes out clear stir in rice and Salt with the Beans, add Water if necessary. Return to a boil, reduce heat to medium-low, cover and cook for 20 minutes without removing the lid. Fold the Rice and Beans together gently and serve with your desired Sauce or Stew. Enjoy your Rice and Beans! I strongly advise you don’t drain your Beans when you boil it because the dark colored water from the Beans adds more flavor to the Rice and also gives the Rice that beautiful tinted look, plus it’s good for you! I used the long grain Rice that’s why I cooked the Rice for about 15 to 20 minutes. Please follow the cooking instructions for your Rice. Soaking your Beans might be a good idea because according to studies, it helps reduce the gas-producing properties of the Beans and it shortens the cooking time for a little bit.